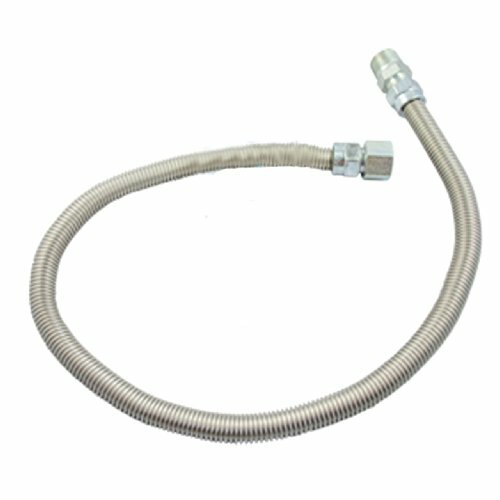 HOME-FLEX Stainless Steel Gas Appliance Connectors are used by professional plumbers throughout North America. They are manufactured from high-tensile strength stainless steel in a one-piece construction with deep corrugations and no soldering joints to increase flexibility and strength. Smooth flared tube ends ease installation by reducing the torque required to connect the fitting. HOME-FLEX gas connectors are safe: stainless steel is highly resistant to corrosion from common household cleaners (such as petroleum products, ammonia, oils and grease) while the deep corrugations provide structural support against crushing, kinking and cracking. HOME-FLEX Appliance Connectors are Design Certified by CSA for both indoor and outdoor connections of gas appliances. If you have any questions about this product by Homeflex, contact us by completing and submitting the form below. If you are looking for a specif part number, please include it with your message.